Like most ships in the Royal Navy there was an animal mascot. 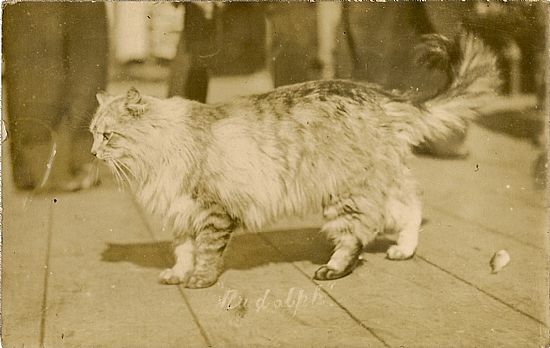 HMS Natal's pet mascot was a Norwegian cat called Rudolph. This cat must have been a favourite with the crew as he was photographed several times. Unfortunately, he became one of the casualties when the ship sank. 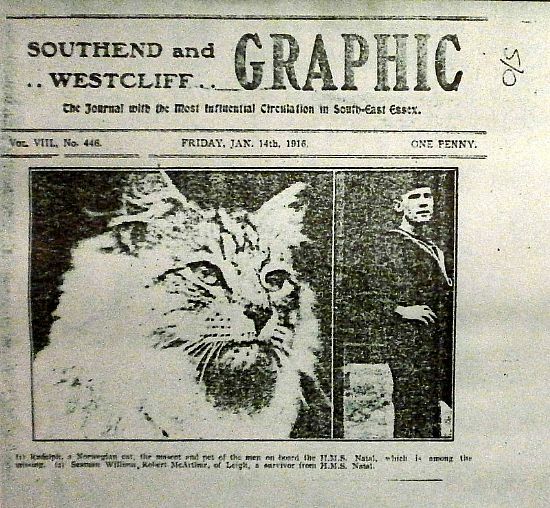 He was remembered however in some local newspaper articles, notably in the Southend and Westcliff Graphic (Essex). This picture must have been taken in 1914 or early 1915.